Located in Renmin Street is a park that honours the traditions of many countries in the world by housing a sculpture of their culture. Covering an area of about 92 hectares the Park has about 439 pieces sculpted by 395 artists from 212 countries. 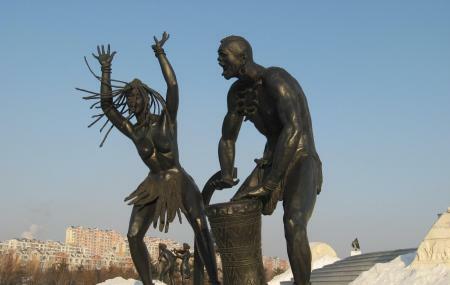 There are statues of eskimos, African tribes, even a replica of ‘The Thinker’. Capturing the essence and style such as abstract expressionism, modernism, post modernism the park, true to its name pays homages to cultures from all over the world. How popular is World Sculpture Park? People normally club together Changchun Movie Millennium Town and Zoological And Botanical Garden Of Changchun while planning their visit to World Sculpture Park.